COLUMBIA, Mo. 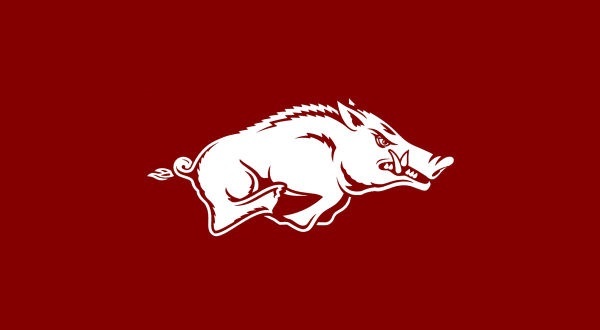  A second half surge was not enough as the University of Arkansas womens basketball team suffered a 71-53 loss at Missouri in Southeastern Conference play on Thursday. A cold start for the Razorbacks (12-5, 1-2 SEC) included a 19% performance from the floor and no points from Arkansas leading scorers in Chelsea Dungee and Malica Monk in the first half. The duo was a combined 0-14. In addition, Missouri (14-3, 3-0 SEC) dominated the boards in the first 20 minutes, 32-10, and scored 18 second-chance points to open the game. The Razorbacks heated up in the second half winning the third and fourth quarters as Dungee and Monk got into the scoring column. Dungee finished with 15 points and six rebounds. Jailyn Mason added seven points followed by six from Alexis Tolefree. Monk, Kiara Williams, Raven Northcross-Baker and Bailey Zimmerman had five points each in the loss. Arkansas nine first quarter points is a season-low in the opening frame. It was also a season-low at the half with 14 points. Chelsea Dungee and Malica Monk were held scoreless in the first 20 minutes. The Razorbacks have forced double figure turnovers by opponents in every game. Arkansas won the third quarter, 16-15, for the ninth time this season, and the fourth quarter, 23-22, for the 14th time this year. Arkansas returns home hosting Vanderbilt on Sunday at 2 p.m.